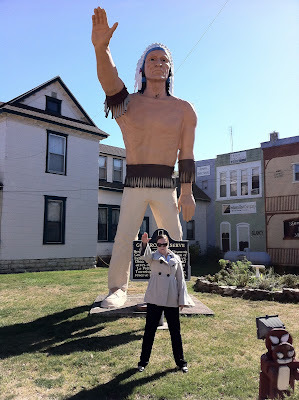 Dee and I took a little trip to Hartford City, Indiana this weekend. We were there for a funeral but we were able to visit with family and we are always entertained when we are with the family. We were also entertained by the signs in and around Hartford City. Since I’d rather not bore you trying to explain all the fun times with the family, I’ll share with you the signs instead. This isn’t technically a sign, but there is a sign just behind Dee. However, you might recognize this Indian if you’ve ever seen Parks & Recreation on NBC. It’s in the opening credits. Also, the sign behind Dee is pretty nonsensical. I snapped a picture of this sign for obvious reasons. It indicates the portion of State Highway 3 that is dedicated to my dad. 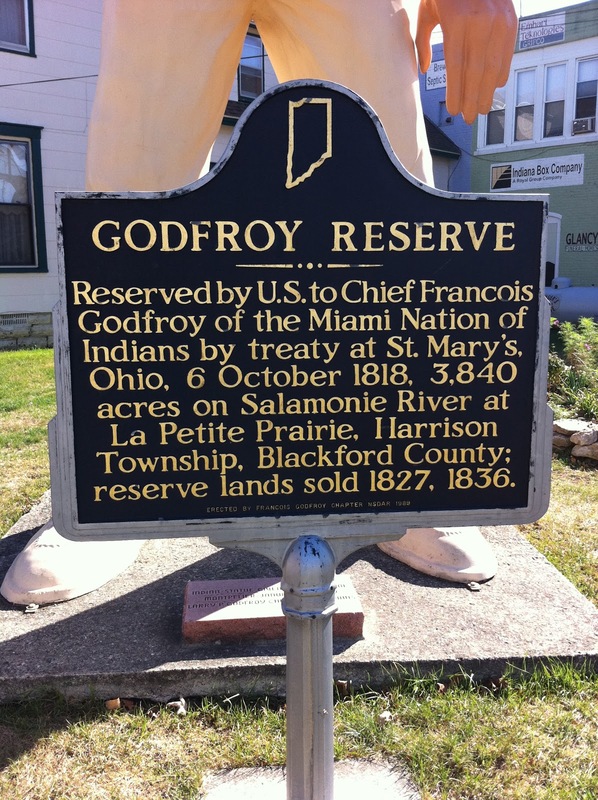 It extends from the north side of Hartford City to State Highway 18. Does your dad have his own highway? I have lots of questions about this sign. Why is Coroner an elected office? Why would you choose to make your sign look like a body bag? Isn’t the tag usually on the toe of the corpse? Why didn’t they go all the way and show a face peeking out of the zipper opening? Why did my mom let someone put this in her yard? Okay, this isn’t a sign. It is something you need to see. In case you are wondering, this is Dee as the Pope. The Balloon Pope. I took Dee to her favorite ice cream place in Indiana, Ivanhoe’s. 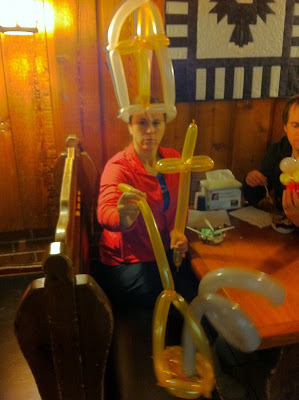 Every time we’ve been there, a balloon artist has offered to make us anything we want. This time, Dee said, “I want a hat!” I quickly added, “She wants a Pope hat!” The balloon artist went the extra mile to create the staff and incense burner. God bless him. That is the most hilarious thing I have seen in a while. Not to mention how incredibly talented the balloon artist must be to make that on the spot. But, how does one become or train to be a balloon artist and what is his annual income?